Sorry I have not been updating my dogs in National Park posts lately. I decided to remedy that by going my most local park, Cabrillo National Monument located at Point Loma in San Diego, CA. The park was established in 1913 to commemorate the life of Juan Rodriguez Cabrillo, the first European to set foot on the west coast of the US. The visitor center sites on top of the peninsula and providing excellent views of San Diego Bay, Coronado and south to the Coronado Islands off Mexican coast. This time of year, January and February, are great times to catch site of a Gray whale on their annual migration to Baja from the Arctic. 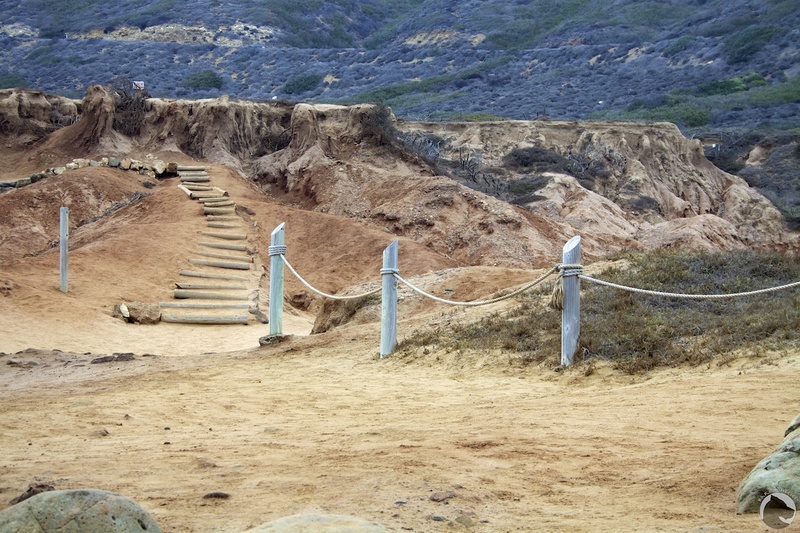 There are some short walking trails from the visitor center to the Old Point Loma Lighthouse and the Cabrillo statue as well as a 2.5 mile round trip trail through native coastal sage scrub and past remnants of the WWI and II bunkers and gun batteries. Unfortunately none of these trails allow pets. 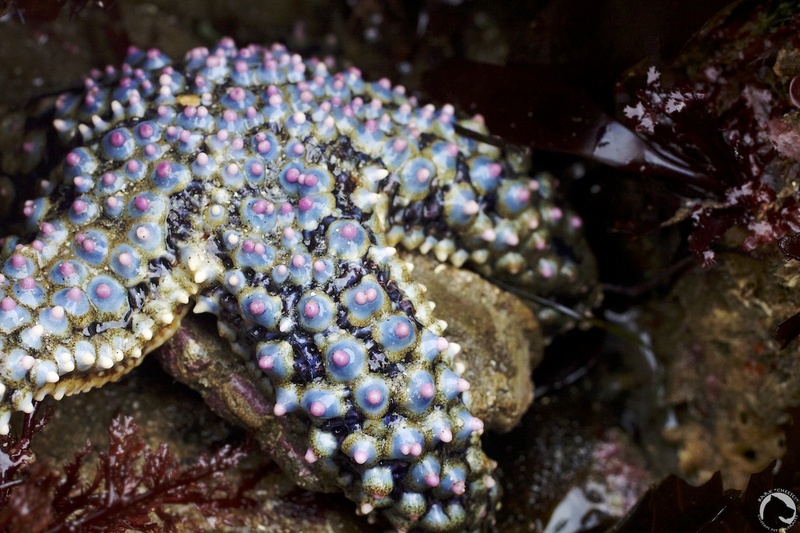 If you do bring your pet, head down the hill to the tidepool area. Leashed pets are allowed in this area and there is 1 trail, the Coastal Tidepool Trail, which follows the coast between parking lots 1 and 2. It is an easy to moderate 1 mile hike with the Pacific on one side and native Mediterranean coastal sage scrub on the other. Erosion has a constant influence in the area so some sections can be quite rugged. Since there is 1 dog friendly trail the park gets a 2 paw rating but it is worth a visit just to see the park’s tidepools on a good low tide. 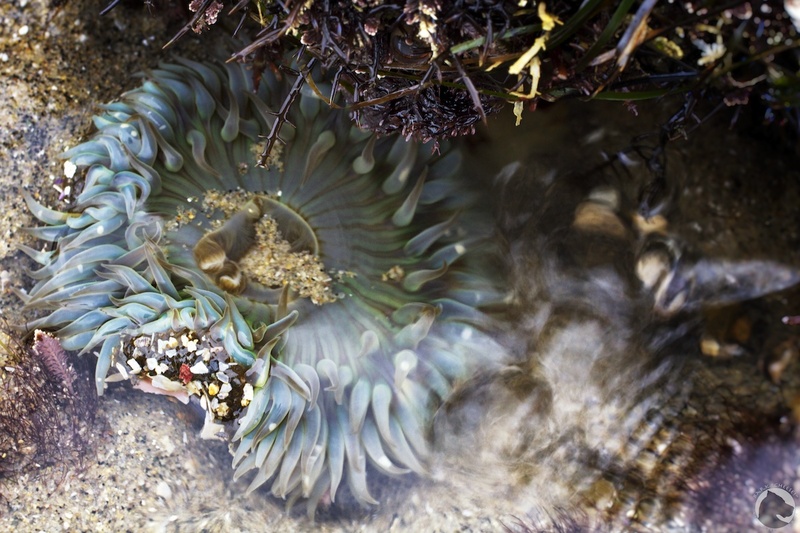 There are many rocky intertidal areas in San Diego but the diversity of life seems to be the best here. I’m always looking out for nudibranchs and on my recent trip there I found 24 individuals of 3 different species. The area can be extremely crowded on good low tides so parking can be difficult and wear shoes which can get wet. 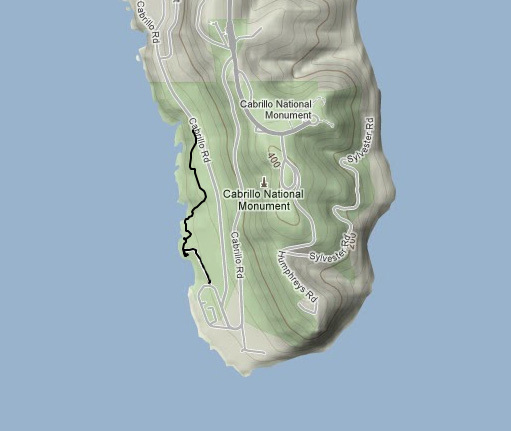 This entry was posted in Dogs and National Parks and tagged anemone, Cabrillo National Monument, giant green anemone, hiking, National Parks, nudibranch, pet travel, sea star, tidepools. Bookmark the permalink.